iLESSYS® Pro is perfect for intraspinal, ipsi- and contralateral decompression and deherniation. 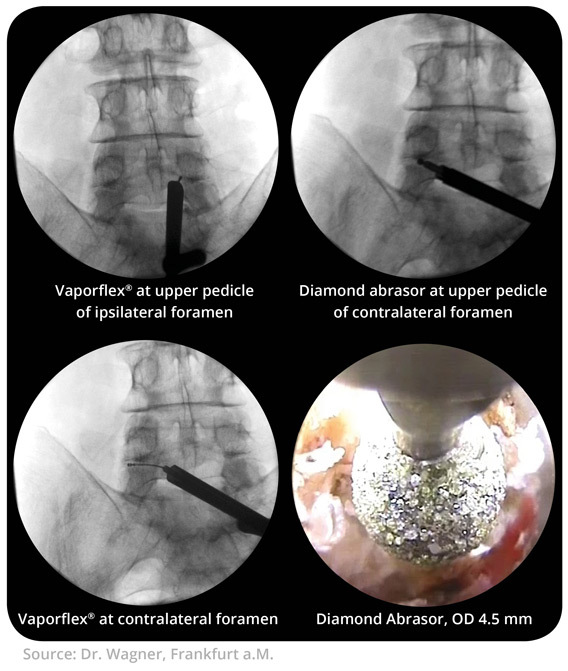 All instruments for access and resection as well as the endoscope have been optimized for decompression within the spinal channel. A focus of development was the aspect of surgical efficiency, streamlining of the procedure and improvement of ergonomics. The new iLESSYS® Pro set exhibits excellent properties especially for ipsi- and contralateral intraspinal bony decompression and deherniation. 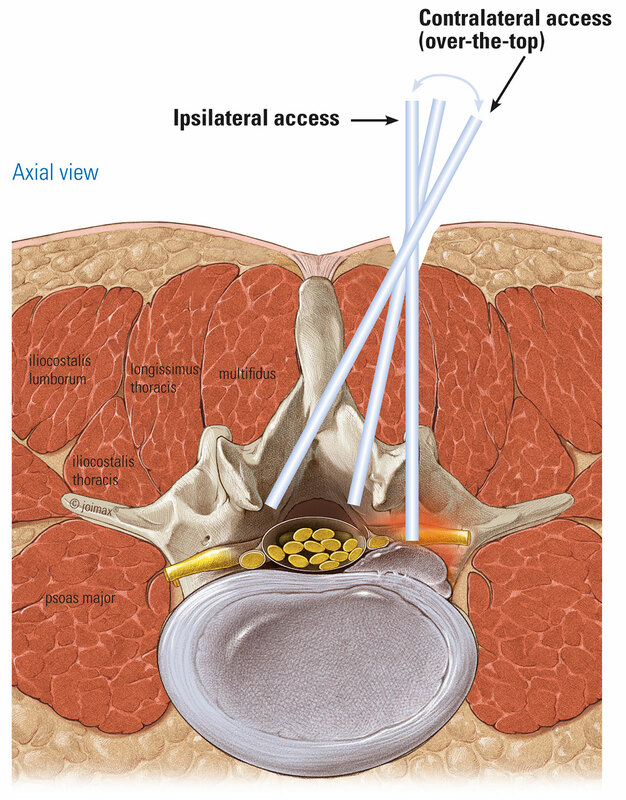 Both access are possible under full endoscopic view (over-the-top technique). 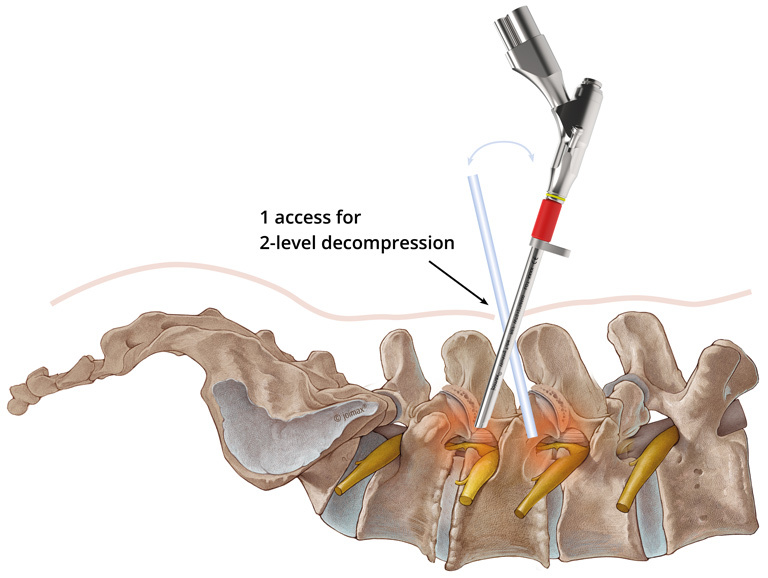 The over-the-top or cross-over technique allows a bilateral decompression via an unilateral endoscopic surgical access. After extension of the interlaminar window, a look at the opposite side is provided. This reach direct to the other side of the spinal canal with all instruments, without the need of a second skin incision offers an unique new full access for decompression. In minimally invasive procedure the surgeon works crosswise (cross over).